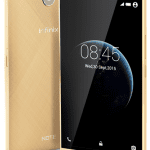 Infinix Hot 3 is the sequel to the AndroidOne powered Hot 2, launched back in the third quarter of 2015. The smartphone drops AndroidOne in its latest iteration and seems built to interest selfie takers. It also offers a bigger display and comes with a more powerful battery. It is available with 1GB RAM, but a 2GB RAM variant called Infinix Hot 3 Pro or Infinix Hot 3 LTE are also available in some countries like Nigeria. 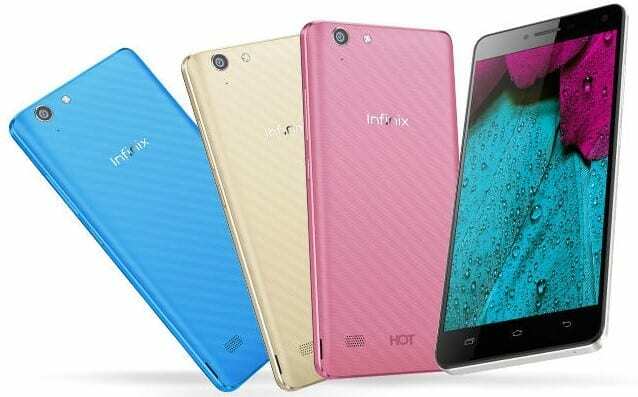 Infinix Hot 5 is the latest member of the Infinix Hot Series. The Infinix Hot 3 X554 exhibits a sleek appearance, especially on the front. The body is fashioned out of plastic and finished in diverse colours to suit different tastes. The curvy rear panel is said to have a nice diamond texture making for comfortable handling. The Infinix Hot 3 rocks a huge 5.5-inch display, compared to the 5-inch unit found on the Infinix Hot 2. However, the resolution of the full-laminate display remains at HD (720 x 1280 pixels), which means this device could offer slightly less sharp images compared to its predecessor, though if the screen is brighter the Hot 3 may turnout sharper. Looking at the specs sheet, you could say nothing has changed between the Infinix Hot 3 and Hot 2 in the camera department, higher there appears to be some significant changes. This new phablet offers a combo of 8-megapixel rear-facing camera and 2-megapixel front-facing camera for image capturing. The back camera uses an OV8865 sensor and boasts a 5-element lens for better light intake efficiency to further ensure great-looking images. It is HDR-compatible as well. While the resolution of the front snapper may appear measly, Infinix Mobility promises ‘hottest selfies’ as this comes with soft flash and boasts an 84-degree wide-angle lens. The cameras are accompanied by a range of impressive features, including smile, voice and gesture recognition as well as touch capture. 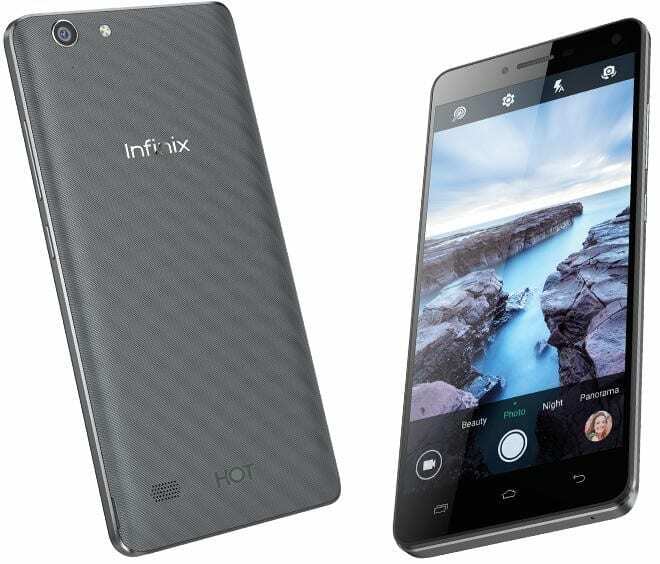 The Infinix Hot 3 is equipped to offer about the same level of performance as its predecessor. It is kitted with a quad-core MediaTek MT6580 processor, which gets support from either 1 GB or 2 GB of RAM. The variant of the Infinix Hot 3 with 2GB RAM may also feature 4G LTE depending on your country. Onboard storage capacity is 16 GB, expandable by up to 32 GB with external storage media. The phablet boots Android 5.1 Lollipop OS coated with a XUI skin said to have been optimised to deliver long standby time. Power is provided to the Infinix Hot 3 by a 3000mAh battery, more powerful than the 2,200mAh juicer on the Hot 2. 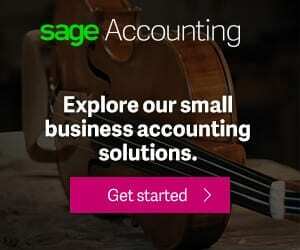 Talk time of up to 20 hours and web browsing of up to 9 hours are promised on a charge. Infinix Hot 3 boasts reverse charging capability enabling you to boost other mobile devices with this battery. The Infinix Hot 3 is currently available at leading online stores in Nigeria. Infinix Hot 3 Price in Nigeria ranges between 46,000 Naira and 55,000 Naira, depending on your location in the country.